So you’ve just pre-spent the next 3 months worth of wage remuneration at the mall. Not good. A visit to Dalliance to recalibrate might help. 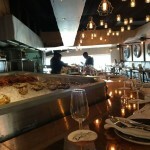 Part 3 of 4 speed reviews of restaurants that offer great seafood (as well as other menu options), good views of the Atlantic Ocean and memorable comfort and interiors. Dalliance is upstairs in the main shopping centre part of the V&A Waterfront yet with its outlook over Table Bay and Granger Bay, easily shakes of the mall feel. 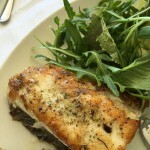 Here is the 2nd part of our 4 part uploadment about Cape Town restaurants that have great food, sea views and a special atmosphere: Lunch at Pepenero in Mouille Point. Food, shelter, love and some cash: the four carbon fibre legs supporting the high gloss sunburst elliptical 3D printed coffee table surface which in this groovy urban furniture metaphor represents a memorable stay in fabulous Cape Town. Self-cater accommodation is absolutely our bag so all you have to provide is your dearest person/people and a bit of currency to complete the quadrapodic picture. Cooking whilst on holiday is all well and good: no need to worry about missing that underwhelming hotel breakfast, a sandwich can be built and not bought and there are food markets like the Oranjezicht City Farm Market to provide delicious local ingredients for dinner. But its the allure of the new and as-yet uneaten in restaurants, innit? 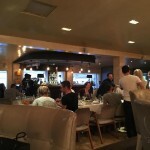 And Cape Town has a rich and imaginative selection of dining out options: unique dishes with most of the fresh components coming from within 100km of the city, excellent chefs. And let’s not get started on the the wine: at least 6 unique regions within an hour of the city and a variety that will require return visits to work through. Take 30% or more off the price paid for something comparable in Europe or the UK. Where to begin? Dennie Pasion is our food taster at large and has keyed into her back of the serviette app her observations of 4 of restaurants that repeatedly satisfy her sense of taste and appreciation of the aesthetic. 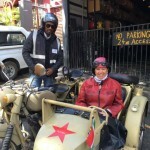 We examine and record the charms of Cape Town from the cosy confines of a Soviet era Chinese-built sidecar. Aren’t food markets just great? Finding things that just would not sit on the shelf of a supermarket or store due to the lack of volume or logistical reach of the grower or maker. Knowing that this stuff isn’t trucked and tracked in on a daily basis. 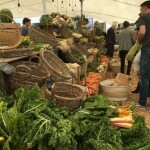 Lower frequency and higher scarcity makes for even greater determination to not miss out on that bread, cheese or fruit at this once in a week-time speciality fresh produce event at Granger Bay, next to the V and A Waterfront in Cape Town. 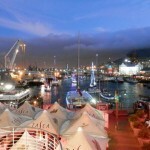 The V&A Waterfront of Cape Town: shopping centre, working harbour, living museum. Not easy to summarise Sea Point in a few paragraphs but I’ve done it. Read it. Exposed! 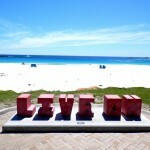 Clifton. Well, revealed. In our neighbourhood summary. Updating and dusting off our Cape Town neighbourhood descriptions for our new website. Its still in development phase but you are allowed a peek here. Have some facts or historical artefacts to share? Use the comment form.